Maintaining a healthy weight is not just about what you eat but how much you eat. If you’re looking to lose weight, having too many calories, even if you are eating healthily, can make shifting the weight a struggle. If you’re eating too much and not burning it off with exercise, you will still gain weight explains Waitrose nutritionist Nicola Selwood: ‘It’s the simple energy in and energy out model - overeating by as little as 50-100 calories a day will cause the pounds to creep on.’ Many of us find it to hard to judge what a ‘normal’ portion size is, so we’ve put together some easy tips to control your portions . Before you know it, you’ll be able to instantly recognise how much you should be eating. To help you get the right balance of foods over the day, use our guide below, based on the Public Health England Eatwell guide. 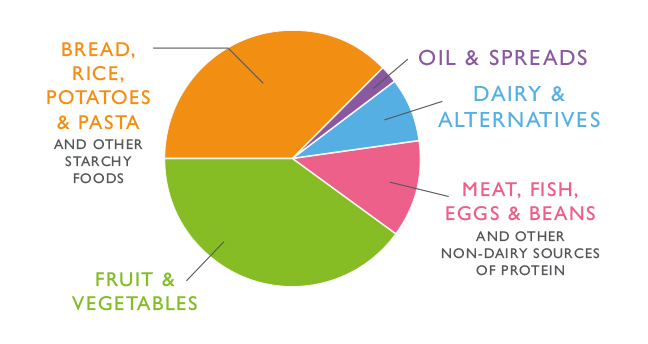 This represents the proportions of foods we should to be aiming to eat each day. Now you know what proportions your diet should be made up of overall, it is also important to know what portion sizes look like. Reference intakes (RI) are a useful guide to help you understand the nutritional requirements of a typical adult on a day to day basis. The exact amount of food you need each day will depend on your age, gender, size and how active you are. 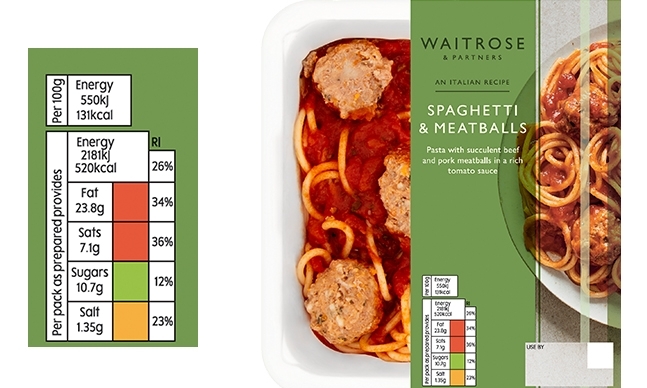 Did you know, the percentage of the reference intake a product gives you of fat, saturated fat, sugar and salt are shown on the front of pack traffic lights as %RI.